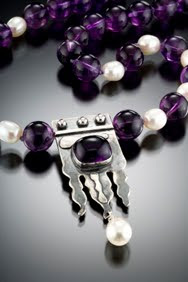 I love silver jewellery. 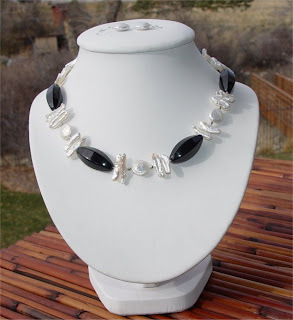 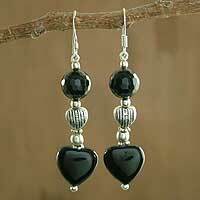 And black onyx holds a special place for me as it has a great design potential when paired with silver beads and other semi-precious beads.On its own it creates a mystery and combined with warm-coloured stones like garnet, carnelian, coral, it offers a striking contrast. 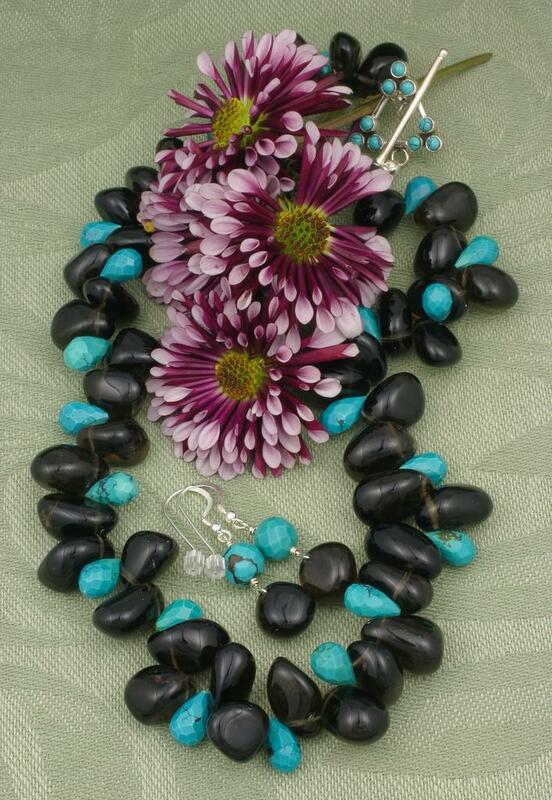 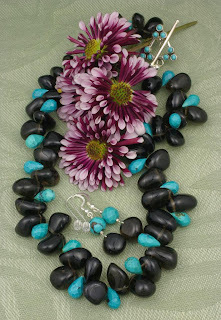 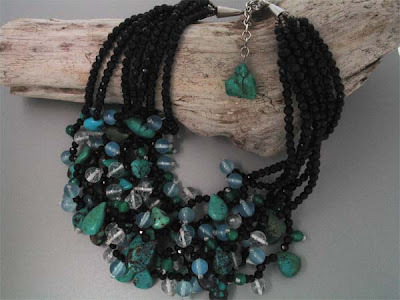 It has a special affinity with Turquoise. 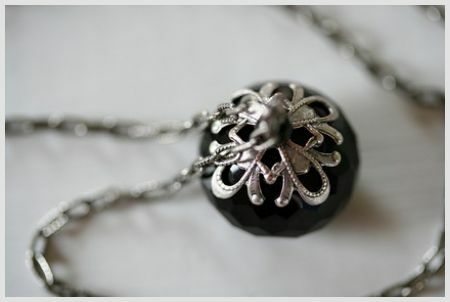 Onyx comes in different colours, but black is the most popular.Usually it is found in black or brown with white bands.But on rare occasions, it can be found in shades of orange, red, or honey coloured. 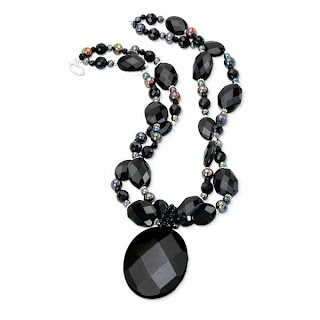 Onyx is widely available in Germany, Canada, Uruguay and the US. They come in different shapes, sizes and cuts-- round, oval, oblong, square, faceted. 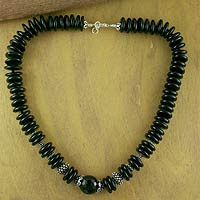 Black has been associated with regeneration and new beginnings. 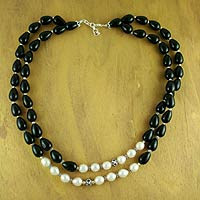 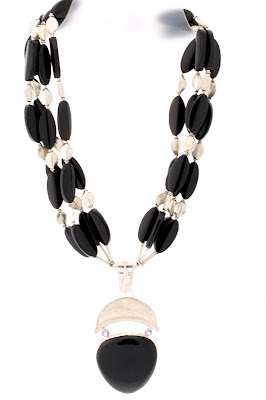 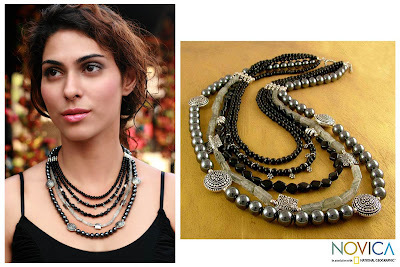 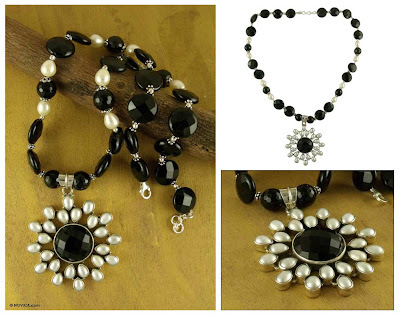 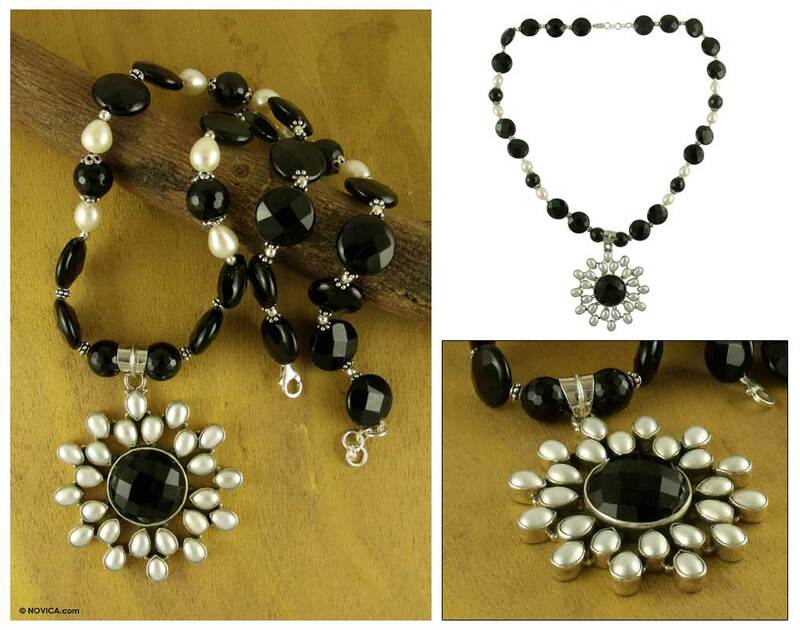 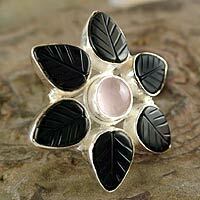 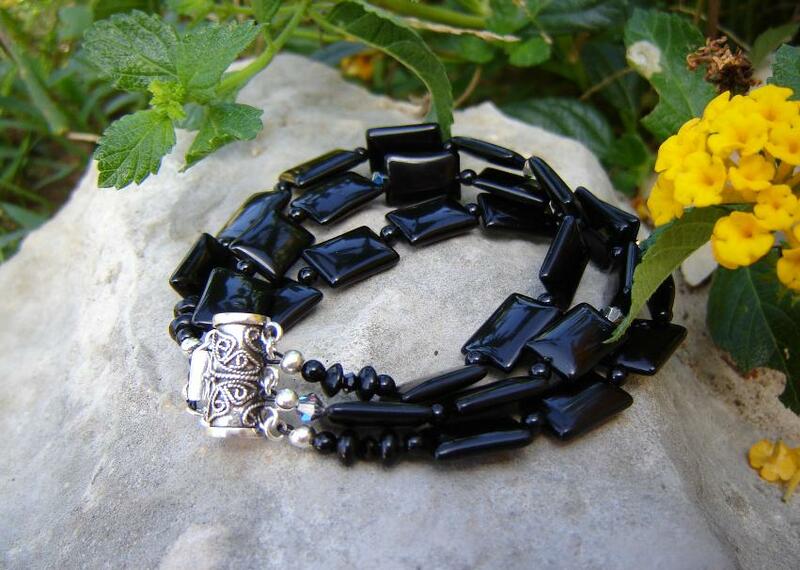 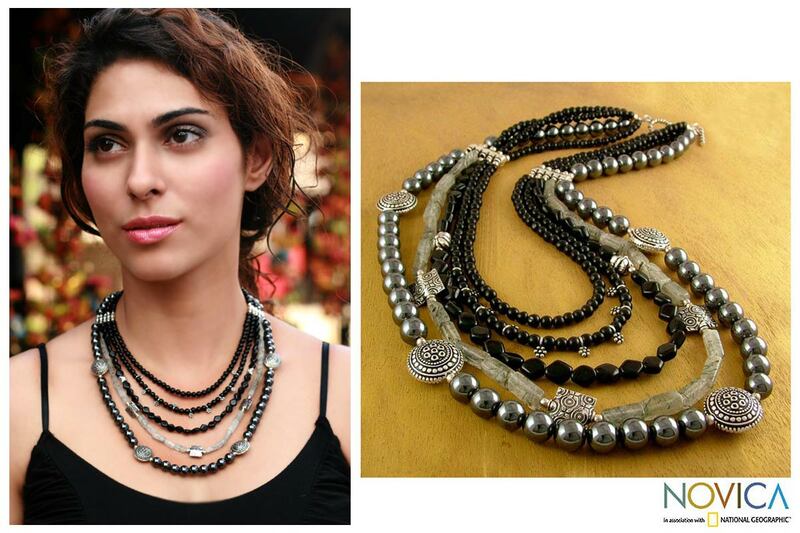 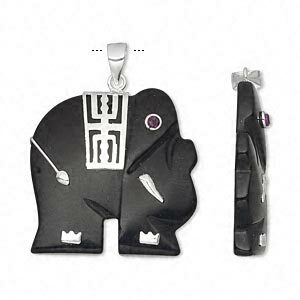 Black onyx is thought to have protective qualities, making it advantageous to carry when one is traveling. It is also said to be useful in fighting basic fears and in helping to create the opportunity to move beyond bad relationships--and to heal old emotional wounds. 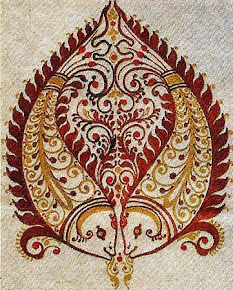 The Romans associated it with courage and it is thought to be useful when one is defending himself/herself against unfair criticism. 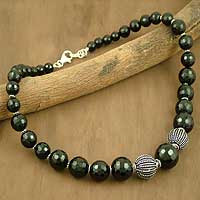 Contemporary authors say that onyx brings increased vigour, strength, stamina, and self control. Brazil supplies the best multi-colored raw material, but onyx is found worldwide. 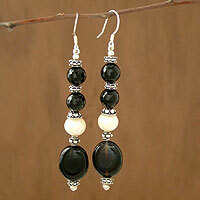 Grey chalcedony is found in India and China. 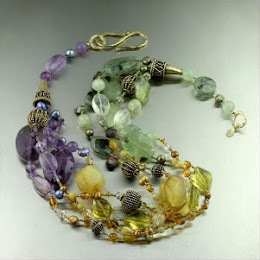 For more gemstones, check here. 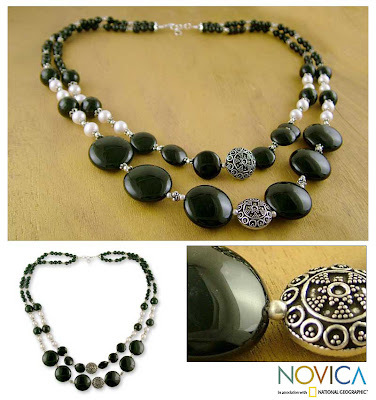 Images via novica.com, jewelryimpressions, beemanjewelrydesigns.com, firemountaingems.com.